Colors: Good Friday is traditionally associated with the color black, a symbol of death, despair, sorrow, and mourning. Good Friday is celebrated among the Christian as a holiday on which Jesus Christ was Crucified. The meaning of Good is “Holly” and so as Holly Friday. It is called Great Friday, Black Friday, Sorrowful Friday. The Good Friday is celebrated on friday before the Easter day. Crucifixion was a cruel form of death reserved for criminals and slaves. First, Jesus was beaten by Roman soldiers. Then he was made to carry His cross to the place of execution. The soldiers nailed Jesus to the cross and left Him to die. It was friday afternoon that Jesus died. That is why we called this day as Good Friday Jesus Cricification. And the Cross now served as a symbol of God in Christians. It is believed that Jesus died to save peoples from the punishment of God. He died for the sins that people had done. Every Countries have their own rituals and ceremony. Royal Hours is a special expanded celebration of the Little Hours including the First Hour, Third Hour, Sixth Hour, Ninth Hour and Typica. 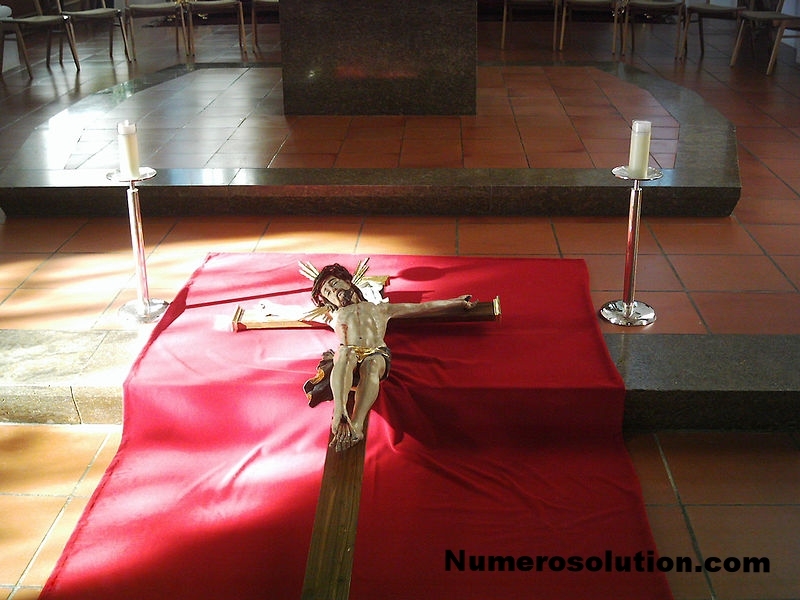 During these hours Scripture readings and hymns about the Crucifixion is done. In the afternoon, around 3 pm, the body of Christ is removed from the cross, as the words in the Gospel reading mention Joseph of Arimathea, wrapped in a linen shroud. It is called Vespers of the Taking-Down from the Cross. Catholic treats this Good Friday as fast day. While in Latin they eat one full meal but not include meat. And in many places they eat fish. In many places liturgi service is usually happen until a few hours after the recommended time of 3 pm. Good means Holly in Catholic and they believed it as Holly Day so it was called as God’s Friday. Which later as Good Friday. When was Jesus put on the cross? The crucifixion of Jesus occurred during the 1st century AD. According to the accounts in the New Testament, Jesus, whom Christians believe to be the Son of God as well as the Messiah, was arrested, tried, and sentenced by Pontius Pilate to be scourged, and finally crucified. Date of Good Friday 2016?